At the fifth meeting, we went on analysing some teaching sequences and talked about the factors influencing the choice of resources and the design of tasks in connection with fostering both critical thinking and intercultural awareness. In my previous post, I described the main principles we should bear in mind when designing tasks for our projects. In this post, I’m sharing my own way of putting all these ideas into practice. Please, don’t go thinking I’m going to give you the solution for all your possible problems or something of the sort! The title of this post is just meant to be fun. Anyway, I work at a technical secondary school with specialisms in electromechanics, computing and construction. I teach two year-6 classes; one with specialism in computing and the other one with specialism in construction. The main constraints I always have to deal with are the serious shortage of ready-made teaching resources and the lack of prep-time at state schools (which means teachers are expected to use their free time for planning, correcting and marking). So I always do my best to kill two birds with one stone, if you see what I mean. 1. Take the technical secondary education curriculum design of years 4 and 5 to pick out the subjects that have to do with both computing and construction. That is, choose the subjects that both specialisms have in common. 2. Talk to the subject teachers that have been in charge of these subjects so as to find out about both the students’ learning needs (including their interests) and the subjects themselves (e.g. the cognitive load involved in different themes, the prior knowledge required, the more appropriate order to deal with the contents, the availability of resources, the activity types students are familiar with, etc.). 3. Bearing in mind what the subject teachers have told you and the curriculum design of year 6, choose four or five THEMES (1st T), which involve four or five sets of CONTENTS (1st C), and specify the learning and teaching objectives for each theme. 4. Do research in order to find appropriate, relevant authentic spoken, written and multimedia TEXTS (2nd T). Of course, the ideal situation would be to have students themselves choosing the themes, but in this particular teaching context, teachers always need to buy time. 5. Carefully analyse the texts to spot the TOPICS (3rd T) and the three types of language (2nd C: COMMUNICATION + 3A’s: Lg OF Learning + Lg FOR Learning + Lg THROUGH Learning) covered in each topic. Also spot the cultural issues embedded in the way each text deals with a given topic (4th C: CULTURE). This analysis will help you polish up the learning and teaching objectives (in terms of both the 4C’s and the 3 A’s), establish the THREADS (4th T) and be realistic when thinking of possible real-life FINAL TASKS. Steps 1-4 are to be carried out during the examination period in February, when we aren’t teaching yet. These steps are highly time-consuming, so the idea is to make sure that you’re preselecting a relevant variety of THEMES (subject contents) and drafting the outlines of possible projects with real-life FINAL TASKS in order to offer students a limited selection at the first meeting in March. As you can see, you’re buying time that you’ll need when planning the project(s) in detail. 6. The very first lesson in March, show students a sample of the resources and elicit their opinions. Ask them to choose two or three themes and decide which theme they’d like to work with first. Then, give them a list of several possible final tasks for each theme and ask them to choose at least two final tasks a theme (so that you’ll have a spare one if they change their mind afterwards; remember interests, motivation, engagement and commitment are prone to change as the school year goes by). At this stage, it’s important that the final tasks you’ve designed look like the kind of activities students will have to do in real life. These activities are likely to be mainly unfocused tasks, which may predispose learners to choose a range of linguistic forms but they are not designed to foster the use of a specific linguistic form (Ellis, 2003: 16-17). Four years ago, none of the final tasks I showed students was chosen at this stage. So I had to design new ones for the following meeting. To customise the new proposal of final tasks, I asked some subject teachers for help. They shared some of their ideas with me and I was able to tailor the new set of final tasks in time. On second thoughts, I realised the first set of final tasks involved mainly focused tasks (which were language-oriented and aimed to induce learners to process, receptively or productively, some particular linguistic form) and hence they were perceived as unauthentic (e.g. a computer repairman and a bricklayer don’t usually have to write an instructions manual or a user guide). However, the second set of tasks involved unfocused tasks which were subject-content-oriented (e.g. a computer repairman and a bricklayer are more likely to need to read and understand an instructions manual, or watch and understand a video tutorial, in order to, respectively, assemble the parts of a desktop computer and apply some construction technique). Anyway, this doesn’t mean you can’t design a project with a focused final task. 7. Once students have chosen the final tasks, start to plan the first project. I use this template. During the first month (a total of eight sixty-minute periods; two running periods a week), I usually put a lot of energy into activating and building up the prior knowledge (esp. the linguistic one) that students will need to cope with the project. I give students the different types of tasks described in this post. My main focus is on developing the three C’s (CONTENT + COMMUNICATION + COGNITION) and the three A’s. At this point, I’m paving the way for successful project implementation later on. This first month’s work enables me to get diagnostic data on the students’ specific learning needs and interests. That is, this data helps me further customise the TASKS (5th T) in the project (e.g. I double check I’ve planned activities that help students develop different critical thinking skills following Bloom’s Revised Taxonomy of Thinking Skills; the 3rd C: COGNITION). 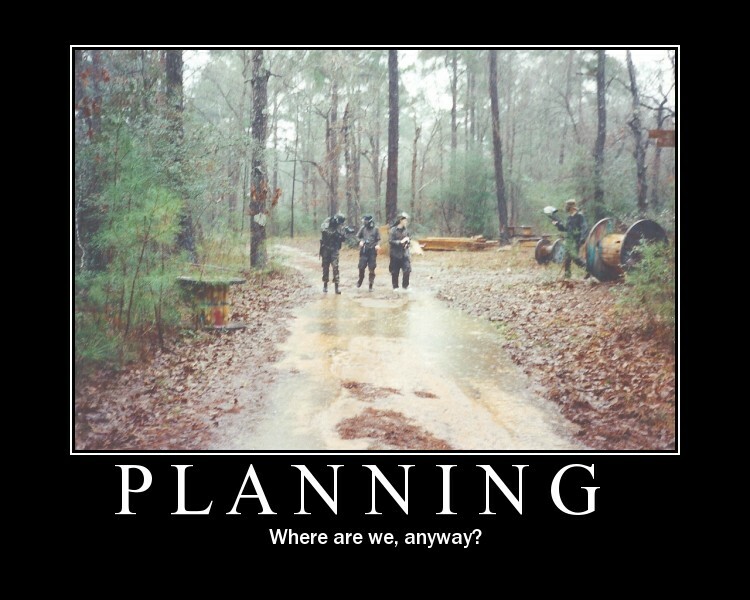 It’s important to notice that actually the planning stage is highly recursive. That is, as you go on planning, you’ll find yourself revisiting what you’ve already planned in order to do away with some activities, introduce new ones, change the activity sequence and polish up the TRANSITIONS (6th T). Moreover, a kind of feedback loop will be established once the project has been launched. 8. Draft the ASSESSMENT PLAN. Yes. Assessment must be planned. This plan should describe the assessment type (Assessment OF/FOR/AS Learning? Formal/Informal Assessment? Summative/Formative Assessment? Peer-/Self-Assessment? ), assessment criteria (assessment purpose, construct definition, performance description and weighting) and assessment tools (oral/written test, e-portfolio, anecdotal notes, oral/written comments, quality questioning, peer feedback, reflective blog entry, etc). Since all forms of assessment are socially constructed activities to achieve certain goals, our assessment decisions (what for/why, who, what, how, when and where is assessed) reflect both our beliefs and political stance. In other words, what we value most will be shown in our teaching and assessment decisions. It goes without saying that this will affect the way we understand and implement the prescriptive curriculum. We need to be aware of all this since there is likely to be a washback effect. 9. At the beginning of the second month, launch the project. Whether I’ve finished planning the whole project, I launch the project all the same. I think if I finished planning the whole project, I wouldn’t be flexible enough to adapt it later on. Oh yes, I do usually have to introduce changes during the project implementation. But that’s another story; a story for another post. This is the yearly project I planned for the two year-6 classes I’m teaching this school year. Notice that this version of the project still needs to be further polished up. For instance, at this school, I was asked to include all the learning objectives (not just the ones directly connected with the final task) as they appear in the curriculum design, together with all the possible cross-curricular links, but to leave out the teaching objectives (so they are all missing in this version). You can read Prof. Stella Maris Saubidet Oyhamburu’s feedback on this project here. For the sake of space, I’m just focussing on only a few issues that are worth noticing if you decide to follow the steps above. First, what I wrote above is my idiosyncratic way of planning a project in an attempt to meet a specific group of students’ educational needs within the specific teaching context where I work; it’s not a successful one-size-fits-all recipe. It seems to work with the classes I teach; that’s it. Second, I usually plan the final task very carefully since this task gives both students and me a clear focus throughout the project. It helps us stay on the right track. That’s why I check the task design over and over again to improve it. Any change in this task will also affect the assessment plan. Third, my notion of TBLL has been highly influenced by Ellis (2009), which is the latest paper I’ve read about this approach. There Ellis addresses a number of theoretical critiques arguing that they are based on misunderstandings of what advocates of TBLL actually propose. He emphasises that there is no single task-based teaching approach and goes on to compare three different approaches. Then, he examines several genuine problems with implementing this approach. Some of these problems are the kind of problems we are likely to come across when implementing TBLL at state schools in Buenos Aires Province. Fourth, despite the definitions of washback refer to the impact that the use of a test has on individuals and institutions, I think no matter what assessment tool we use, there will always be a washback. Since this effect is brought about by the assessment decisions we make, the assessment tool we choose is just the way we operationalise those decisions. The assessment tool is just a means to an end. We must be aware of our assessment decisions. Anyway, this is just my opinion. If you’d like to learn more about washback, you should read Bailey (1999) and chapters 1 and 10 in Fulcher (2010). What’s more, and this is something I’ve learnt when doing ETMOOC, we must ask ourselves and encourage students ask themselves: What have I learnt so far? / What did I learn today?, How am I making my learning visible (i.e. accountable, evident to others)? And how am I contributing to the learning process of others? Finally, though I make my best to give students several opportunities to have a say during the project planning and implementation, and that I go back to my initial plans and introduce changes here and there; doing all this doesn’t mean the project will be 100% successful. Last year, due to non-teaching staff’s strikes, I had to trim some teaching sequences from the project in one of the classes. Some contents were left out. As a result, the final task had to be changed. So did the assessment tools. Any suggestion, piece of constructive criticism? I’m all ears (and eyes). Ellis, R. (2009). Task-based language teaching: sorting out the misunderstandings. International Journal of Applied Linguistics, 19 (3), 221-246. Fulcher, G. (2010). Practical Language Testing. UK: Hodder Education.